For as long as I can remember, Indian food has been a cancel all of your “going out” plans, jump into sweat pants and binge Netflix while eating takeout till your stomach physically can’t handle any more food before imploding kind of experience. This is the exact opposite experience—like, next time I go back, I’ll plan on dolling up a little bit. 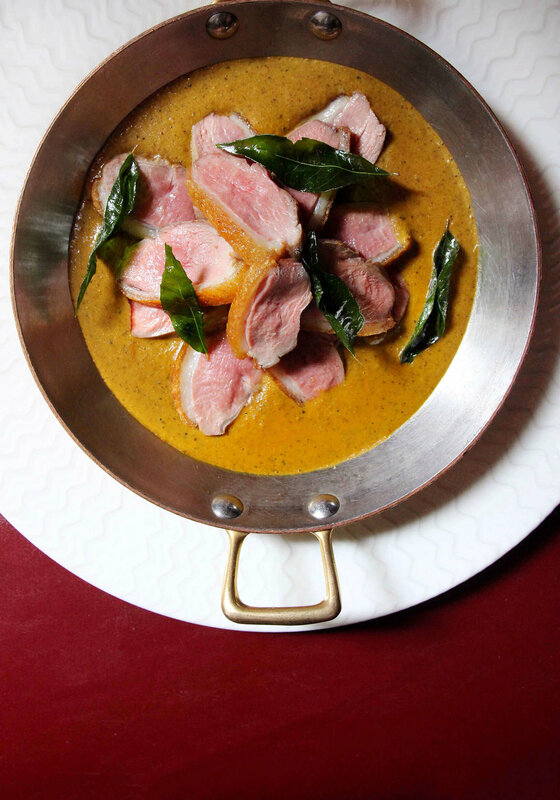 Boasting multiple Michelin awards consecutively since 2010, Junoon is the fine dining Indian food restaurant that is going to ruin all take-out Indian food for you going forward—sorry, not sorry. I mean I literally haven’t gotten takeout since eating their sous vide take on chicken tikka masala. Holy frickin’ crap! Winter hat off to their 25 year-old Chef Akshay Bhardwaj who worked his way up from an internship to Executive Chef all exclusively with the guidance of the Junoon family. My understanding is that the word “Junoon” means “passion” in Hindi. You can clearly see that passion come through in the details of the restaurant’s thoughtfully constructed vast space and the details that went into every single dish.